Every year we hold a special event for the children and their families in the community, the Trick-or-Treat Matine. It’s a lights on, no monsters type of Trick-or-Treating through our Haunted House. We encourage children (and parents!) to dress up in their Halloween costume for extra fun when attending this event! 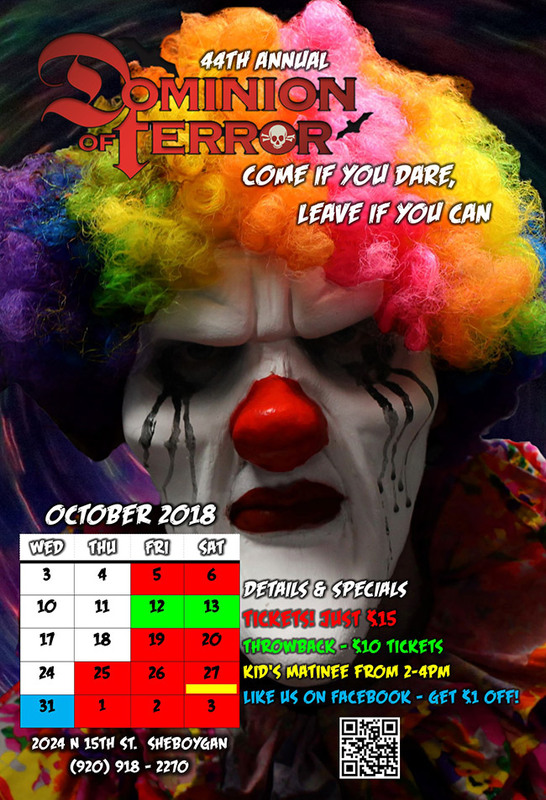 How was your experience at Dominion of Terror?